If you’re a fellow bookworm then odds are you have a huge pile (or several shelves!) of books that you haven’t read yet. Below are 15 books that have been in my TBR pile for at least two years (some far longer!). Until I started putting together this post, I legit thought I’d read Bitterblue. Isn’t that weird?? I’ve read Graceling and Fire, and have owned Bitterblue since it came out, but apparently I never read it?? I’ll definitely have to reread Graceling and Fire before starting Bitterblue, but I’m actually kind of scared now. What if I don’t love Graceling as much as I did the first time? The Eternity Cure is a funky one. I actually have an eARC of it that I never read. I think it’s because I’m really weird about vampires. I always think I don’t like reading about them, but if I can push myself to actually get around to reading one (like The Immortal Rules) then I usually enjoy it. Have you finished this series? If so, how did the second and third books hold up compared to the first? I’m not 100% sure if I want to continue this series. The thing is, I LOVED The Lost Code, but was kind of let down by The Dark Shore (only 3 stars). So I’m just iffy about whether I want to bother reading The Far Dawn. If you’ve read this, let me know how you liked it! 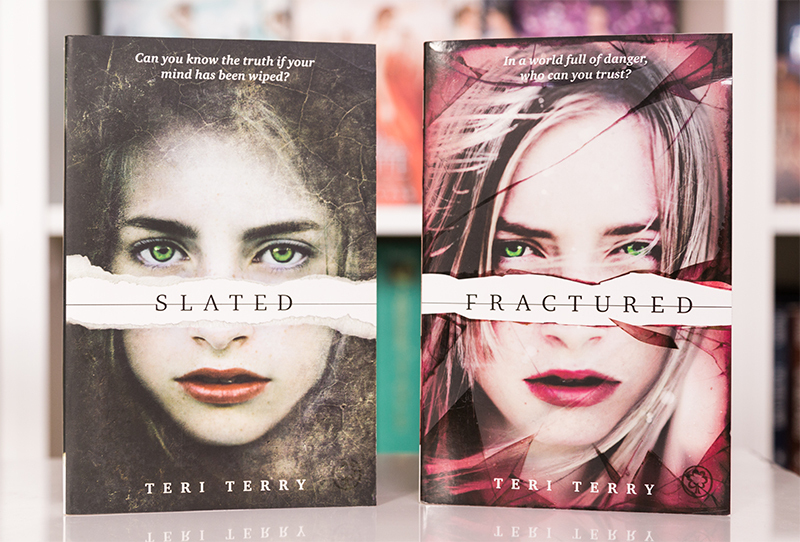 Slated has an extremely cool concept—check it out if you haven’t seen it before! The main character’s memory and personality have been wiped blank because the government claim she was a terrorist. They wipe her slate clean to give her a second chance. But the thing is, I actually remember very little from Slated other than the overall plot. Maybe that’s been putting me off reading Fractured. 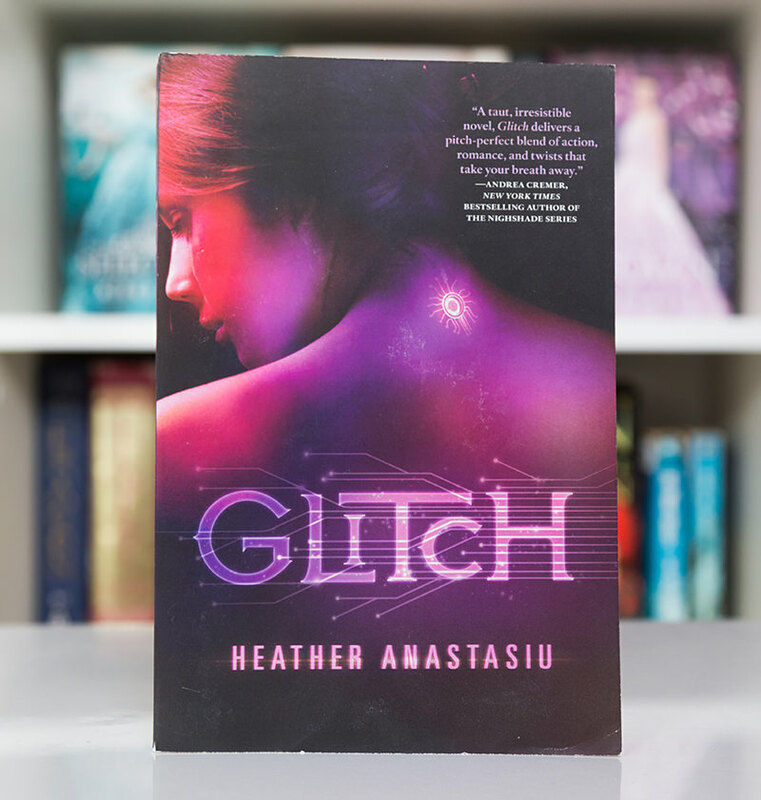 Poor Glitch is a book I’ve had on my shelf for EONS but it’s almost like I never even consider picking it up. Have you read it? It’s about a community where humans are implanted with computer chips that wipe out any destructive emotions. This means there’s no pain or war, but it also means emotions are “filtered”. The main character starts glitching out and feeling her own emotions. I LOVED the first book in this series! I really want to reread it and then continue with the other two. I hope they live up to the first one! 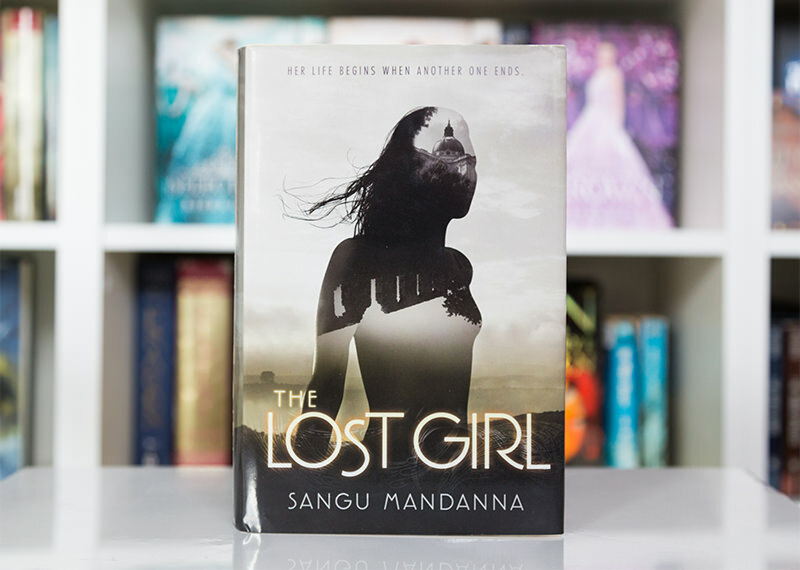 The Lost Girl is one of the first books I ever bought after starting my blog in 2012. It makes me a little sad that I still haven’t gotten around to it. So many of my Goodreads friends loved this! This is another oldie; I think I bought it at the same time as The Lost Girl. Perhaps Poison Study is a little intimidating since it’s part of a six-book series. I KNOW, I KNOW! I haven’t finished Legend! Argh. I’m so disappointed in myself. 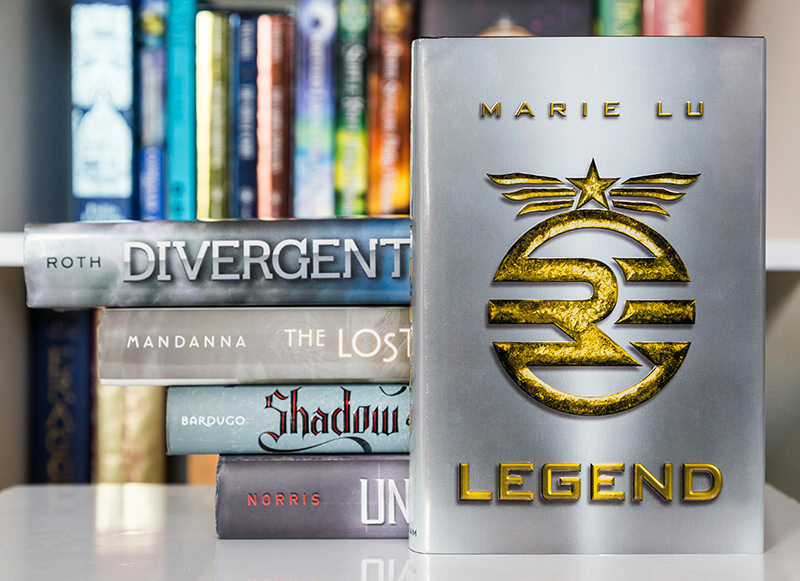 It took me forever to read Legend in the first place, but when I finally did, I LOVED it! But this was one of those series that I just fell behind with. I’ll definitely need to reread Legend before the other two. 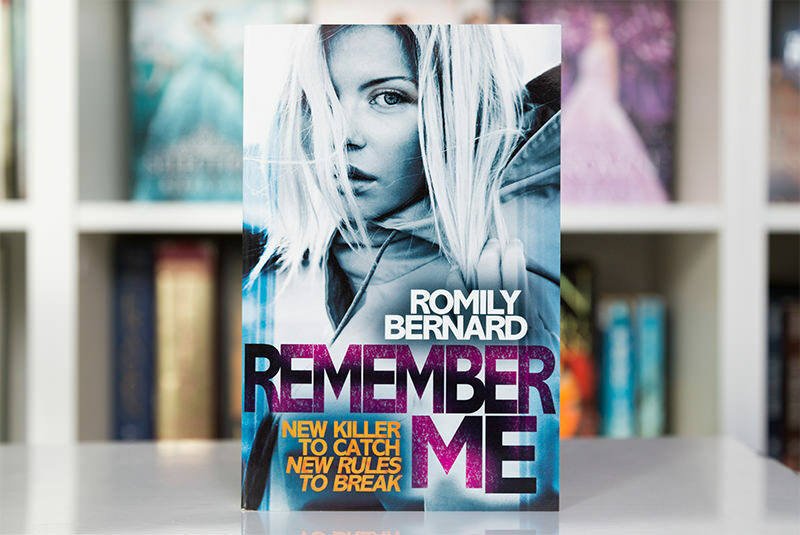 I actually feel really bad that I haven’t read Remember Me yet because I consulted with Romily Bernard on some of the computer/tech aspects as she was writing it! I definitely need to read this to see how it all turned out. Plus, I loved the first book. 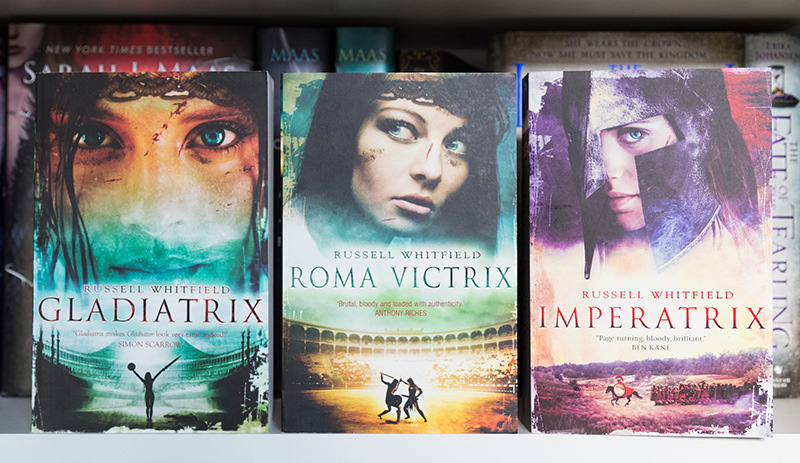 I first read Gladiatrix back in 2012 but I never finished the other two books in the series. I definitely recommend checking this out if you’re into Gladiators! I actually just recently bought the third book in anticipation of finally finishing this series. Um, just like Bitterblue, I 100% thought I’d read The Serpent’s Shadow. I guess I just had it in my head that I’d read the whole Kane Chronicles, and it turns out I was wrong? This is so weird! 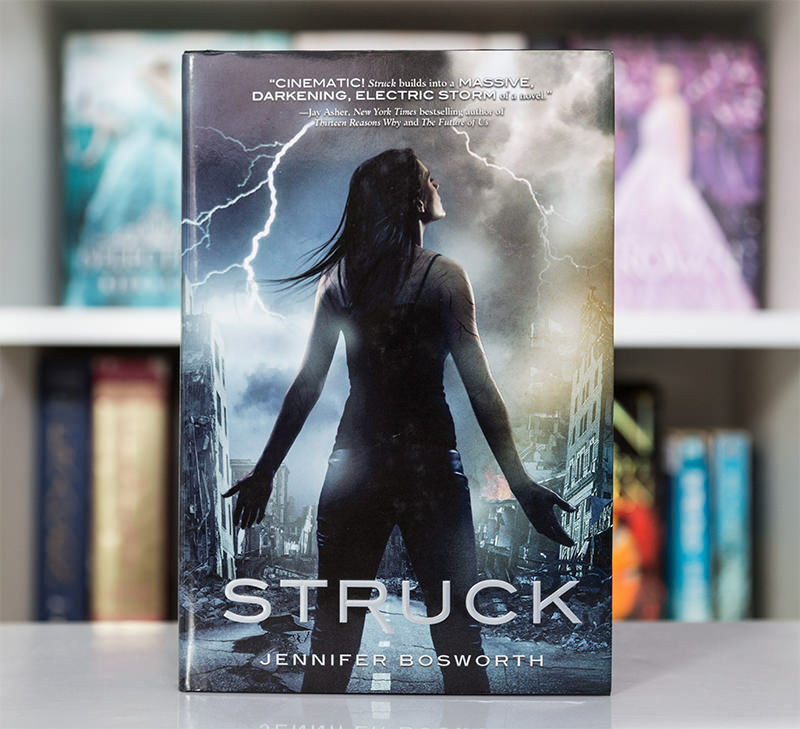 I remember being so excited about Struck when it first came out, but then I just never got around to it. It’s such a bummer when this happens! It’s a super neat concept: the main character is a lightning addict! Zodiac is kind of like Glitch in that it just sits on my shelf and I never even think about reading it. Poor book! It sounds like this one is an outer space story where there are “houses” based on zodiac signs. One of the houses that was exiled returns for revenge on the others. If you’ve read any of these books let me know what you thought! I want to know which ones I should prioritize. Never heard of Glitch, but it sounds awesome! I know, it totally does! I really should read it. Poison Study is such a good series! If it helps, it was originally written as a trilogy so you can read the first three books but you will definitely want to keep reading! It can be a be of a slow burn but definitely worth the read! I want to pick up the Magnus Chase books, they look super good! Omg you HAVE to start with Bitterblue! 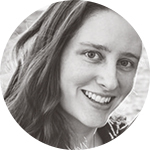 It was my favorite book in the Graceling series…I just never wanted it to end. Seeing your post today is making me SERIOUSLY consider re-reading the whole series, and I have never re-read ANY book…ever. I just remember loving the characters and the world so much!! 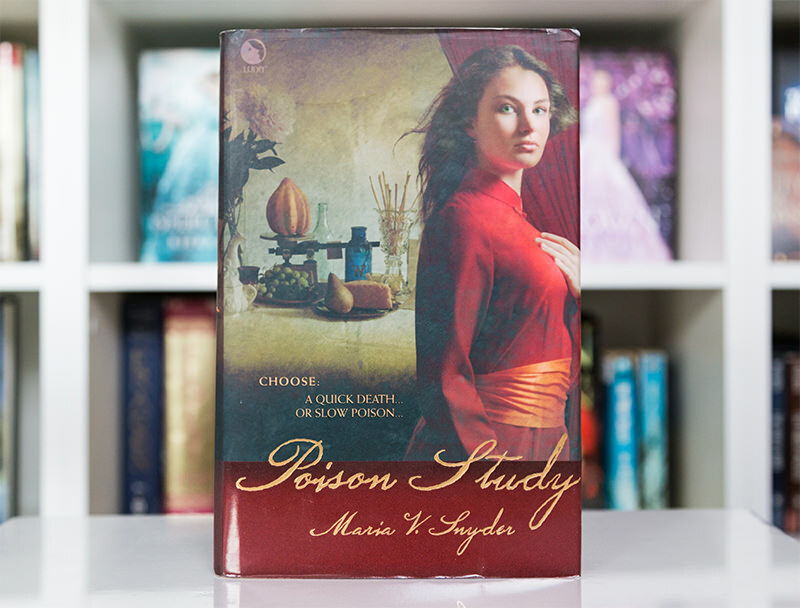 Poison Study was one of my first forays into adult fantasy, and I absolutely loved it! 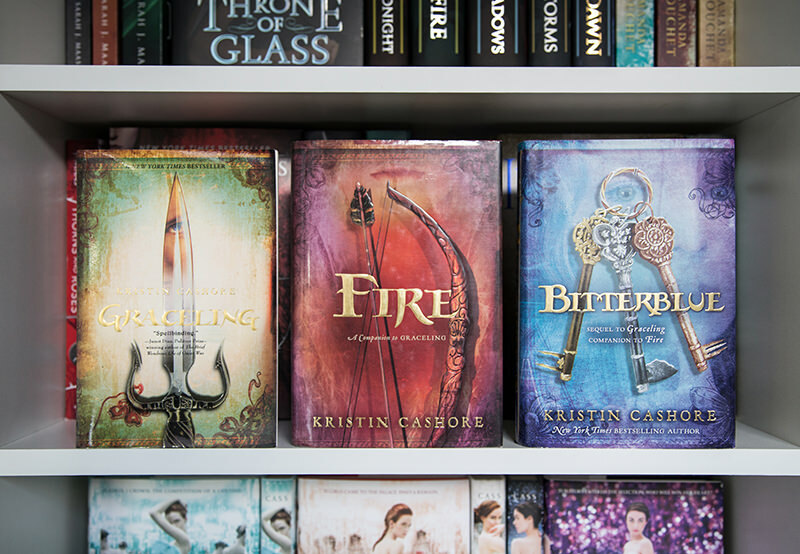 They were all 5 star reads for me, and I highly suggest reading this if you like the kind of fantasy that has kingdoms, intrigue, romance, and strong women with awesome powers! The rest of the books are still just sitting on my shelves as well, literally all except the two above, and I have yet to figure out why I haven’t picked them up yet. That’s so good to hear about Bitterblue! I probably re-read the first two books just to get me into the proper zone. I hope I love them just as much. 🙂 And if you re-read them then I hope you do too! I’m a big fan of adult fantasy, so it’s weird that it’s actually taken me so long to read Poison Study! You’re making it sound REALLY good! I’ve never heard of Gladiatrix but I love gladiators!!! I’ll definitely check it out. I remember loving Bitterblue when it came out and I want to reread all three someday. Also check out Blood and Sand if you haven’t already! That’s a gladiator book I just finished and it was phenomenal! 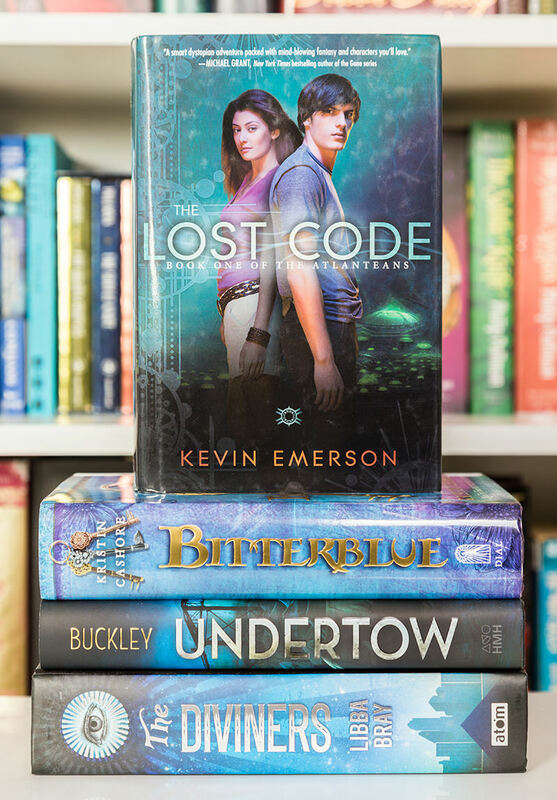 The Lost Girl has been on my shelves forever too! EON IS SO GOOD. SO IS POISON STUDY — like it is exactly right up your alley. I think you will love it. Struck is interesting — there’s a cult in it. Overall, a good book. Zodiac was terrible, I can’t even pretend I liked it. However, maybe if you’re into sci-fi you will like it a whole lot more than I did. I’m thrilled to hear that about Eon and Poison Study!! I’m super excited now. 🙂 And that’s interesting about Struck! I feel like Struck never got that much hype but it sounds really interesting. Will do! 🙂 I hope we both like it! 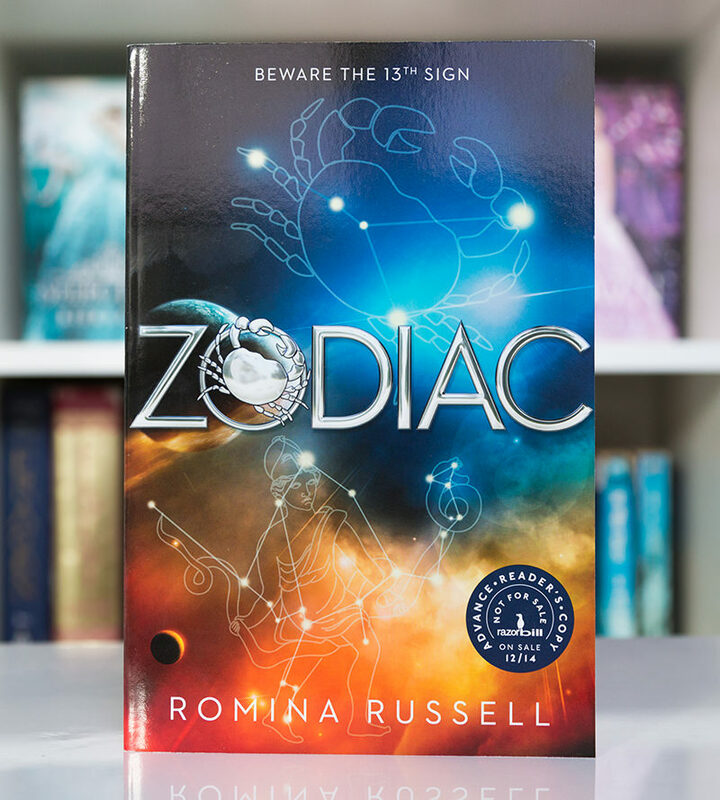 I’ve wanted to read Zodiac for so long too! I loved The Hammer of Thor! 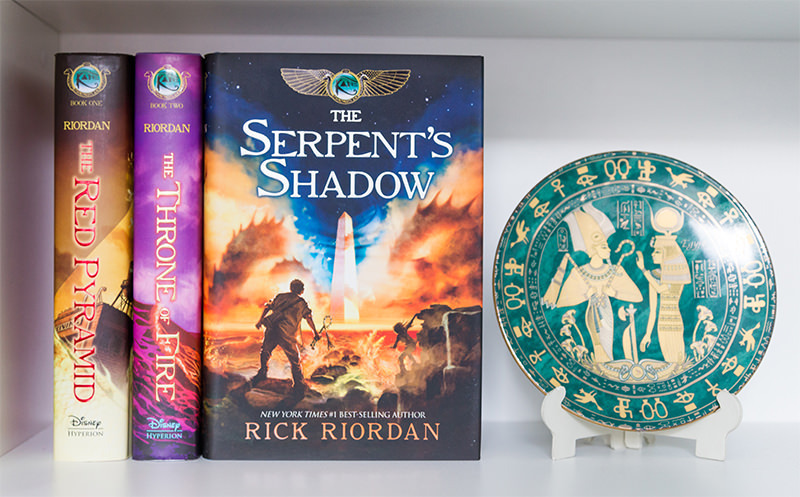 I think the Magnus Chase books are now my favourite Rick Riordan books! I also really loved Poison Study! 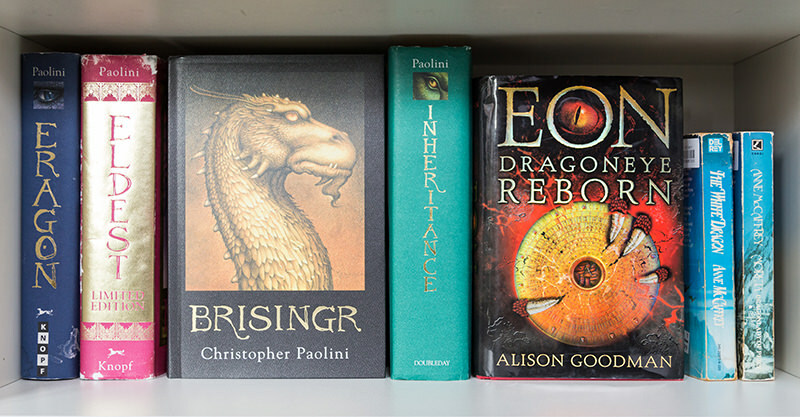 And this post reminds me I still need to read the last book in the Legend series… Oops! Yay! I really enjoyed the first Magnus Chase book so I am hopeful I’ll continue to love the others. Poison Study is one of my favorites of all time and I cannot recommend the series enough! 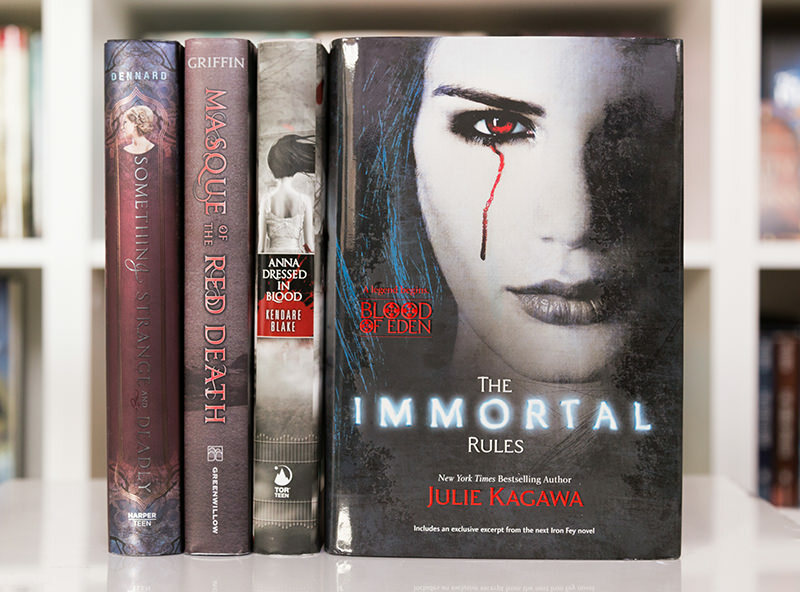 I read The Immortal Rules quite a long time ago and the sequel has been sitting on my shelves since it came out. I desperately want to finish the trilogy but, I don’t know if I’ll actually be able to do so soon. And I really need to finally read Bitterblue! I thought I’d read it as well but, seems I was mistaken. Graceling is one of my favorites though and I cannot wait to revisit the world! I hope you love Bitterblue! There are some really good books you’ve yet to read. I really want to reread the Graceling series. Bitterblue wasn’t my favourite but it was really good. Fire was my favourite. Eon let me down a little with the second book in the series, the first was really good, though. I really loved Poison Study (you can read just the first three and leave it there if you so wish, I haven’t read the second part of the series) and the Legend series was so good! I need to read that again too. Basically, so many good books you’re making me want to reread. That’s a bummer about Eon. I think that’s one of the reasons I’ve put it off a little. I’ve seen a few mixed reviews and I just really WANT to love it. Legend is one of my favorite series. I think I am going to cry just thinking about the ending. *crying* I liked Bitterblue, but Fire was such a powerful book. I just felt like the conclusion was a little too quiet, but still good. 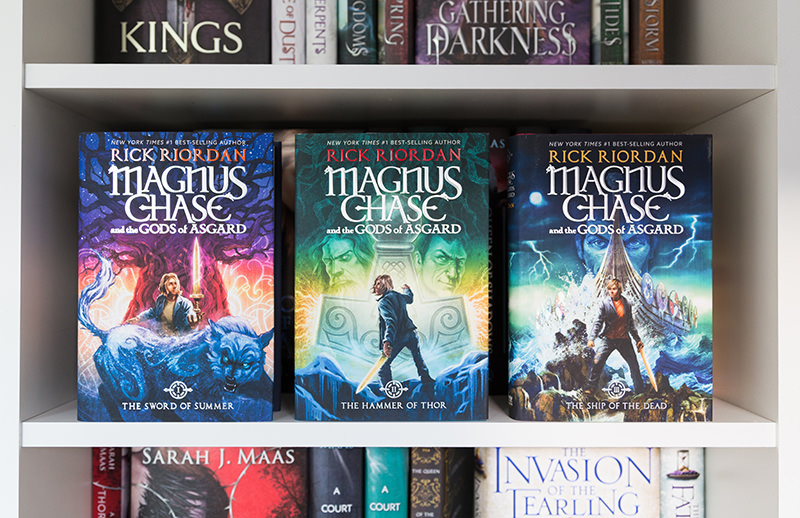 I’ve only read the first Magnus Chase book as well – I totally need to continue with the series! i really liked this post, i too have a lot of unread and old books. I loved Legend but I listened to the audiobook, which was awesome! I don’t think I would have liked it as much reading it. I really need to read Poison Study! Don’t fret about not loving Graceling this around. I read the book years ago when I started book blogging and absolutely loved it. I bought the series recently and started rereading the books. I, too, was worried that I wouldn’t love it as much but thankfully it was just as great all the years later.